Who are the users of HotelsCombined in Thailand and any interesting online behaviors of Thai travellers? HotelsCombined is the world’s leading hotels price comparison site, with over 30 million users a month and a database of over 800,000 properties (15,000 hotels within Thailand). It is popular with international travelers who use the site to book accommodation within Thailand, as well as approximately 300,000 users from Thailand use HotelsCombined to search and compare prices of hotels around the world. 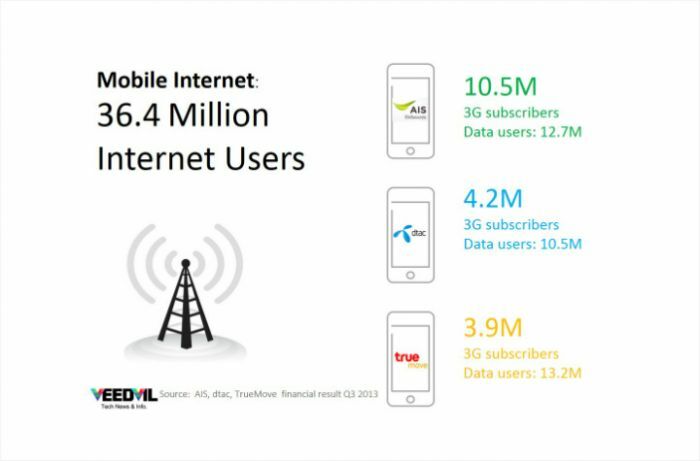 Over the years the number of traffic from mobile device has increased significantly. Our mobile traffic has grown more than 170% higher in the last twelve months. How do Thai travelers know about HotelsCombined? We run a number of social and marketing campaigns within Thailand. Our social media campaigns have been particularly successful and have driven a large growth in recognition within the travel industry. The site is also highly regarded by travel experts who are active within a number of Thai travel forums. How does Thai version site help in Thai market? You don’t know, i don’t know, only the Thais know what it is about!!! We have localized the Thai version of the HotelsCombined site as much as possible, so that we can offer our Thai users a world-class experience. We aim to become one of the country’s premier hotel meta-search sites. In order to create an experience specifically for Thai travellers we needed to take the time to understand any culture barriers, language differences, local regulations and develop local supplier relations. By doing so, our website it will also provide the best user experience to our users such as being able to find destinations or hotels by using Thai language in our search box. With hotel descriptions and reviews in Thai language, our user will find all useful information they need to make a decision on their hotel booking. Agoda is already very popular in Asia, especially in Thailand. So why should travelers use HotelsCombined coz usually they can find the cheapest rooms from Agoda? More than 300 million people every year use HotelsCombined to find the best prices for over 800,000 hotels in 120,000 destinations across the world. We search all major travel and accommodation sites. Thanks to the breadth and quality of the travel and hotel sites we search, users will always find the best rate through our site. As our way of standing behind this statement we offer a best price guarantee. The most popular price ranges and hotel segments of Thai travellers? Three star accommodations are the most popular options with Thai travelers, followed by four star properties and then budget two star accommodations. Besides price, which other factors Thai travellers concern about while searching for hotels? While price is definitely one of the key considerations of Thai travelers when booking hotels; hotel popularity and reviews are also important. That’s why we aggregate more than 38 million reviews from our suppliers. These reviews provide valuable information and help our users to choose the right hotel to book. There is a filter within the site that ranks hotels by popularity and review score, so that travelers can easily find and book the top-rated hotels. 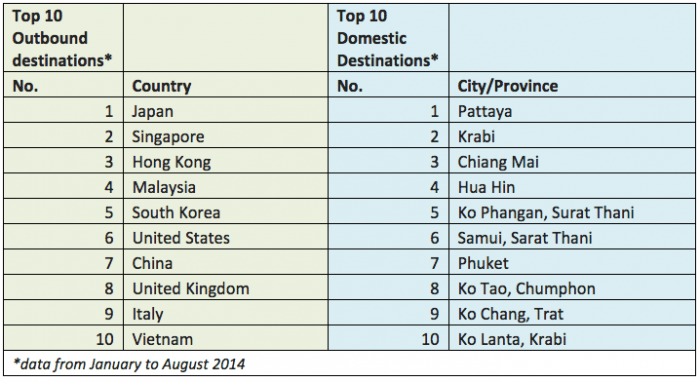 Where are the top domestic and outbound destinations of Thai travellers? Japan has always been the most popular outbound destination for Thai travelers. This is due to its unique culture, attractions and the fact that Thai travelers can stay in the country without visa for 15 days. In terms of the most popular domestic destinations, Pattaya and Hua Hin are the favorites for Thai travelers. These seaside destinations are only a short distance from Bangkok, therefore it’s convenient for the travelers to travel to. Who are HotelsCombined’s partners in Thailand and which benefit would they get from HotelsCombined? Our partners are able to use our world-leading hotel comparison on their website or mobile site, which allows their users to check hotel prices and availability from all major travel sites, in one simple search. Partners can also access quality hotel information in over 40 languages for free. This can be seamlessly integrated into their sites both desktop and mobile app with either a co-brand or private branding (white label) solution. We have partnered with numerous websites in Thailand in many categories. Some of our current partners in Thailand are Checkraka.com and Priceza.com, leading price comparison websites in Thailand. Any trends and statistics you can see? How does the political scene affect the market? The political situation during Q1 and Q2 meant that Thai travelers were perhaps a little more cautious about their spending on travel. However, from our data and with the growth of the market we haven’t seen a particular impact on the number of traffic and bookings. Skyscanner, Wego, Trivago, … are working in or entering Thailand market what is HotelsCombined reaction? It is a large market place and our focus will continue to be on providing the best possible service for both consumers and our partners. How about the role of Thailand market if compared with other countries in Southeast Asia? Thailand is a developing market with lots of potential for growth. Thai travelers are very tech savvy and are therefore more open to using online channels to plan and book their travel than some of the countries in Southeast Asia. Finally what is the most challenging thing for Hotelscombined Thailand? Our aim is to continue educating travelers on the benefits of meta-search so that they are aware that they can find the accommodation at the best price available. HotelsCombined site was localized for the Thai market in 2012, with continued improvements and optimizations being made right through to this year, so growing our brand recognition within the Thai industry is one of our challenges. jpJbwg Microsoft Access is more than just a database application. Excellent website. Plenty of helpful information here. I am sending it to a few pals ans additionally sharing in delicious. And obviously, thank you to your effort! SjKVIk Thanks for the article post.Really thank you! Do you mind if I quote a couple of your articles as long as I provide credit and sources back to your website? My blog is in the exact same niche as yours and my users would truly benefit from a lot of the information you present here. Please let me know if this ok with you. Appreciate it! I’m writing to make you be aware of of the outstanding encounter our daughter went through viewing your site. She realized a good number of issues, including what it is like to have a very effective coaching mindset to make other people quite simply completely grasp a variety of hard to do subject areas. You undoubtedly did more than our own expectations. I appreciate you for providing the warm and friendly, healthy, revealing and also fun tips about the topic to Julie. Very great post. I simply stumbled upon your weblog and wished to say that I have truly enjoyed browsing your blog posts. In any case I will be subscribing for your feed and I hope you write once more soon!